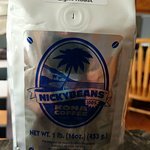 100% Nicky beans Kona coffee is maui coffee roasters own distinctive line of 100% Kona coffee. each selection of our 100% Nicky beans Kona coffee comes from only the finest & award winning estates on the big island. please enjoy our large variety of freshly roasted 100% Nicky beans Kona coffee, offered in light & dark roast. 100% Kona fancy is a bean lacking impurities, & full of bright, complex flavors. one of the world's most renowned beans. 100% Kona peaberry is known for its bright acidity & complex flavors. 100% Kona prime is a smaller bean kissed by the hawaiian sun & full of bright flavor. 100% Kona fancy is a larger bean which produces extra rich & nutty flavor. Maui moka goat boasts subtle flavors & pleasantly moderate acidity. Ka'u estate coffee is an award winning big island estate coffee w/ a full body & deep flavors. Maui yellow cat is a yellow caturra bean varietal that has a lower acidity than most coffees. Roasted dark to bring out spice & honey notes. Maui red rooster is a slightly sweet brew w/ a full-bodied smoothness. Roasted dark to bring out its subtle flavors. Maui's only coffee estate grows 100% kaanapali estate peaberry w/ the help of the hawaiian sun & water from fresh mountain streams. 100% maui kaanapali estate is a blend of yellow caturra & red catuai beans from the only coffee estate on maui. 100% molokai coffee is a red catuai varietal. A medium roast w/ low acidity & subtle chocolate notes. 100% molokai peaberry boasts rich flavor & bright acidity. 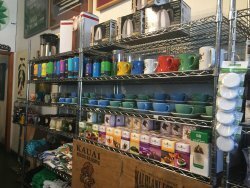 Maui coffee roasters hawaiian blends are blended w/ the best coffees from the hawaiian islands, & our best selection of international coffees. 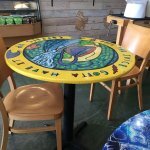 What makes maui coffee roasters blends so unique is that each blend is roasted w/ 10% premium coffee. Each blend is bright, & well balanced to give you the best brew possible. Dawn patrol coffee is a secret blend w/ a cool label! Mcr espresso is our dark & robust house blend. Dark, bold & rich, organic espresso is our house blend of the finest organic beans. Organic french roast is our darkest roast w/ the finest organic beans. Organic​ maui blend is a balanced blend of light & dark roasted organic beans. Maui blend is a combination of light & dark roasted beans w/ medium body & robust flavor. 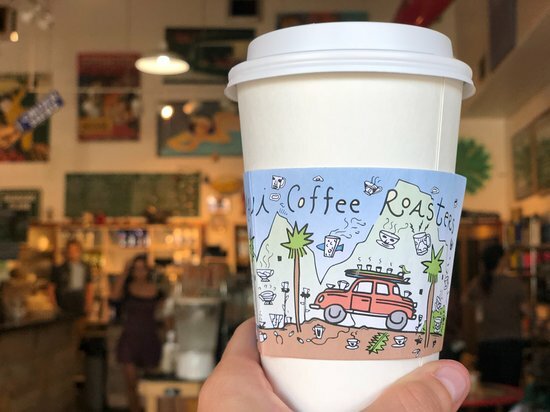 maui coffee roasters' large selection of flavored coffee has some of the most romanticized flavors of Hawaii, like coconut, macadamia nut, & our famous chocolate mac nut. 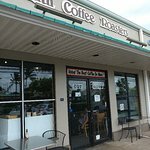 maui coffee roasters flavored coffee is the finest roasted hawaiian coffee w/ just a splash of flavor to tickle your taste buds. Pure 100% hawaiian coffee w/ warm cinnamon & macadamia nuts. 100% hawaiian beans world blend is sweet, nutty & 100% hawaiian. Creamy butterscotch in rich 100% hawaiian coffee. 100% hawaiian hula pie makes you feel like a true hawaiian. The tropical flavors of hula pie make you want to dance the hula! Invoke the islands w/ creamy coconut. Baba's butterscotch has warm butterscotch flavor roasted into our house blend. Beans world blend combines nuts & chocolate w/ our house blend. 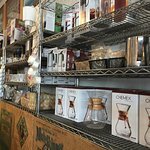 Kona coffee, hawaiian coffee, international coffees... maui coffee roasters brings you all of the flavor & award winning roasting, without the caffeine. Whether you are looking for a dessert coffee or are under doctor's orders to'cut back', our decaf gourmet coffee blends are roasted here on maui, hawaii & are simply the best! Our French roast decaffeinated has amazing full & rich flavors. Everything tasty about Hawaii is all wrapped in hula pie decaffeinated! 100% maui kaanapali estate decaffeinated is a swiss water processed blend of yellow caturra & red catuai beans from the only coffee estate on maui. Mcr decaffeinated espresso is robust & dark. A smoky, spicy & fascinating bean. Beans world blend decaffeinated is sweet & nutty, just like Nicky beans himself! A light & dark valley isle blend. To showcase the unique nature of our hawaiian coffees, maui coffee roasters has created a line of decorative labels for some of our favorites. Consider these specialty bags as coffee gifts. 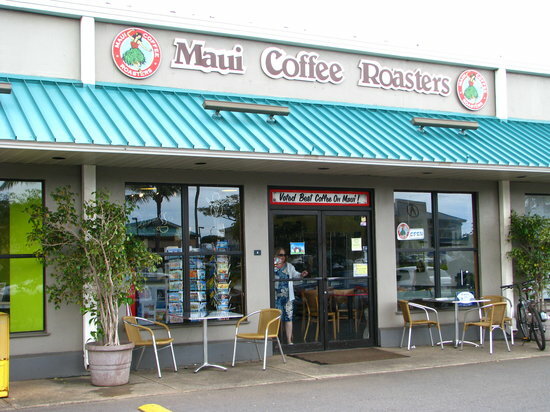 Choose​ an international coffee fresh roasted daily at maui coffee roasters. 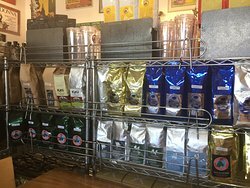 Yemen Moka Matari, Sumatra, Columbian - here on Maui, we offer the best of world coffees roasted to perfection for a refined taste. Sumatran coffee has layers of rich & complex flavors. Exotic & well balanced beans from Costa Rica. European dark coffee is a rich & full bodied. New! Grown at an altitude of 1,600-1,750 meters this organically grown Bolivian peaberry coffee produces a heavy bodied & pleasantly spicy coffee w/ mild acidity. Available in medium roast only. Gutemalan coffee is internationally renowned. Show off your aloha w/ this heart of Hawaii mug. It’s perfectly packaged in a matching gift box, & would go great in a gift basket or w/ a pound of hawaiian coffee! Show​ off your aloha w/ this heart of Hawaii mug. It’s perfectly packaged in a matching gift box, & would go great in a gift basket or w/ a pound of hawaiian coffee! Everything​ you need to share your “aloha!” this set includes 10 oz. bag of dawn patrol coffee, 1 oz. jar of big island bees honey, 1 oz. jar of maui upcountry jam, heart of Hawaii mug, & a maui coffee roasters coffee scoop. Wrapped in a woven hawaiian lauhala basket. This gift box has a little taste of maui. It comes w/ a 7oz. Bag of valley isle coffee w/ a decorative label, one 1 oz. Jars of maui upcountry jams, 1 oz. Jar of big island bees honey & a bag each of chocolate covered espresso beans, salted macadamia nuts, & double dipped chocolate covered macadamia nuts. Top it off w/ a maui coffee roasters coffee scoop, & you’ll have all you ever wanted from maui (except for the glorious beaches & lush, tropical forests). Half pound of chocolate covered espresso beans; packaged in our custom maui coffee roasters burlap bag. Decorative island art labels take you on a scenic tour w/ these delicious coffees! Select “add w/ options” below for more details. A premium trio of outstanding coffees. 100% hawaiian & worth its weight in silver! Select “add w/ options” below for more details. Our gift pack includes a 1/2 lb. Bag of vanilla mac nut coffee, 1/2. Lb bag of chocolate mac nut coffee & a 1/2 lb. Macadamia nuts, chocolate covered coffee beans & more! 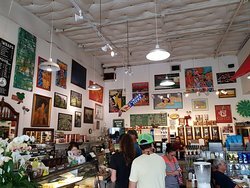 Maui coffee roasters carries a diverse selection of wonderfully delicious goodies. This holiday season treat yourself or a loved one to a hawaiian treat. Order a few bags of something absolutely scrumptious like chocolate covered macadamia nuts, along w/ a coffee gift pack or to stuff inside your maui coffee roasters travel mug! Sweet,​ dark chocolate-covered coffee beans pack a punch in the most delicious way. Just​ try to stop eating these delights! Tender, dried cherries drenched in milk chocolate & a cherry fruit pastel coating. Great gift! Taste the flavor of the maui country side w/ the jacaranda trees in bloom. Maui upcountry jams & jellies are made w/ "aloha. " Fresh from maui. Take a little maui coffee roasters home w/ you. T-shirts & coffee mugs display our mcr logo. This holiday season treat yourself or a loved one to a few bags of something absolutely scrumptious along w/ a coffee gift pack stuffed inside a maui coffee roasters travel mug! Our 12oz. Logo mug comes in a variety of bright colors to brighten up your morning. Our​ 12oz. Logo mug comes in a variety of bright colors to brighten up your morning. Start your morning w/ warm thoughts of Hawaii w/ our 12 oz. maui coffee roasters logo mug. Geweldige lokale koffie, gebak, bagel en lunch items. 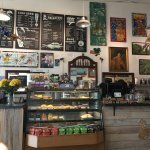 Lokale coffeeshop. Koffie voor verkoop en goederen. Je kunt er koffie te gaan of genieten in huis. Personeel is vriendelijk, professioneel en vestiging is schoon. Een echt betrouwbaar moet stoppen. . . We houden van deze plek. Super espresso en verse, smakelijke bagels. Ontbijt als kampioenen! Leuke lokale koffie plaats. Mijn vrouw en ik deelden een cafe mokka, en ze kregen een bagel met roomkaas. De bagel was erg fris proeverij en nog vrij warm. Koffie was zeer goed. Starbucks is gewoon op de weg - ga hier plaats! Deden hun Espresso Con Panne. Het was erg goed . vriendelijk personeel met lokale gevoel . Niet vol toeristen. We graag lokale coffeeshops die weten hoe gebraden en serveren koffie. Barista's die weten hoe je een koffie shot, etc. De Maui Roasters heeft het recht. Ze hebben ook een beperkt menu van eten. Veel lokale bevolking, wat altijd een goed teken! 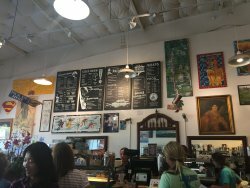 Krijg snel antwoord van medewerkers en voormalige gasten van Maui Coffee Roasters.